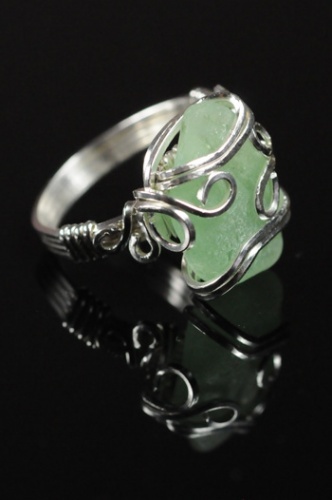 This ring is made with locally picked seaglass. The color is a really pretty summer green. I have wrapped sterling silver curls around it to enhance the color and also to ensure safety from losing the piece of seaglass. This piece is a unique, one of a kind pieces and is something you will treasure forever. Who knows where this piece of seaglass has been traveling. Size 6.